The CM, after the rout in Lok Sabha elections, has become more frequent on social media. 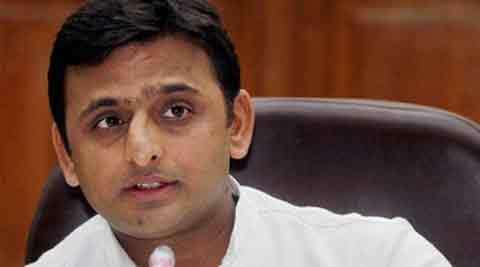 Anyone you follow on Twitter or search for would become known to everybody, said Akhilesh Yadav. Attending a workshop on social media for MLAs, Chief Minister Akhilesh Yadav advised the legislators to “exercise caution” while commenting or following people on social networking websites. The ‘social media for democracy workshop’ was organised on Saturday by an NGO for legislators, ministers with with few legislators from BJP and Congress, too, arriving at the CM’s official residence where experts from Google, Facebook and Twitter gave detailed presentation on how to use the sites effectively. “I caution the legislators that they are under constant watch on social media. Anyone you follow on Twitter or search for would become known to everybody,” the chief minister reportedly said during the workshop. At the workshop, experts like Twitter’s India head for government, news and politics, Raheel Khursheed, Google’s Fatima Jamal answered the legislators’ queries. Not so net-savvy MLA Ghazala Lari said that she had deactivated her Facebook account out of fear that it may be hacked. “(Today) all my apprehensions have been taken care of and I will reactivate my account soon. We can counter negativity only by showcasing positive things,” Lari stated. The CM, after the rout in Lok Sabha elections, has become more frequent on social media. Separate twitter handles have been activated for chief secretary, state government and the CM, with all of them being regularly updated. Directions have also been issued to every officer for their presence on social media.